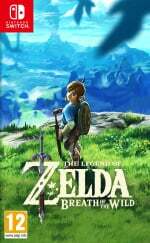 The Legend of Zelda: Breath of the Wild is easily the biggest adventure in the long-running series yet, but it's also significant in that it does away with a lot of the traditions which have been present in the franchise for decades, such as Link's iconic green clothing and some of his key items. For series veterans it might come as a shock that both the Master Sword and Hylian Shield are both optional pick-ups in the game; you can actually beat Ganon without owning them, and there's a good chance that if you're not using a guide you may not even realise they exist. If you're keen to get your hands on the Master Sword and don't know where to begin, worry not - we've got your back. What's So Special About The Master Sword In Zelda: Breath Of The Wild? So why is the Master Sword worth owning? For starters, it's unbreakable - which already makes it desirable in a game where most weapons are only good for a few swings. Also, in typical Zelda style, you can hurl magical beams with it when you have full health. That's not all; in a nod to The Lord of the Rings, the blade glows blue when you're near an enemy that it is especially powerful against, and its power stat doubles from 30 to 60. In Hyrule Castle - which is packed with tough enemies - it glows constantly, which makes your task a lot easier. There are limits to the Master Sword, however; it needs to recharge after a lot of use, so you can't rely on it entirely during combat. 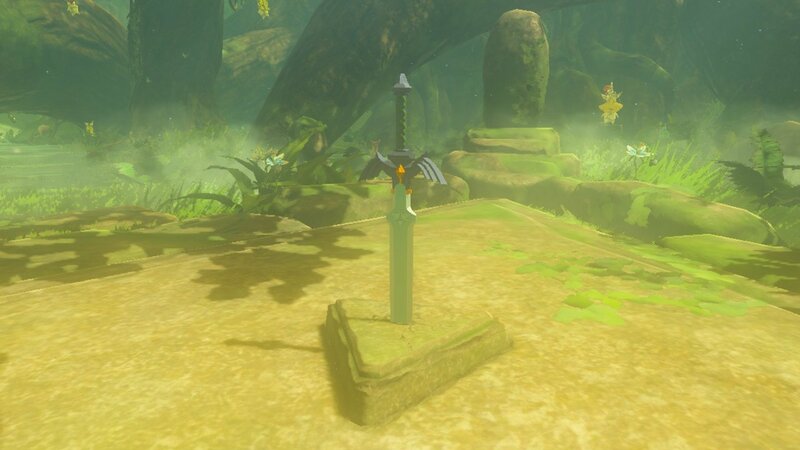 The Master Sword is located in Great Hyrule Forest, just north of Hyrule Castle. If you're looking for a tower to fast-travel to, then the nearest option is Woodland Tower. To the east of Woodland Tower you'll see a marked road - follow this and you'll arrive at The Lost Woods, a location which fans of The Legend of Zelda: A Link To The Past will know quite well. To begin with, follow the torches which are dotted around the wood. Eventually you will come across a pair of torches and a tree in-between them which has a scary face. This acts as a checkpoint, and from this point onwards you won't have any torches to guide you. Fans of Link to the Past will also know that navigating The Lost Woods isn't as easy as you might think; if you take the wrong path after this checkpoint then and you'll end up walking in circles. Thankfully, there is a way to find the correct route. Look for the trees with faces on them like the one at the checkpoint, then look for where their claw-like branches are pointing. It's a good idea to look for two of these trees and walk between where their arm-like branches are - you can see in the image below that there are branches pointing from the left and the right, suggesting that you should walk through the middle. If you do this correctly (it might take a few goes) then you'll end up in front of two cliff-faces (you'll see them on your mini-map); these lead to Korok Forest where the Master Sword waits in slumber, directly ahead of you as you enter. 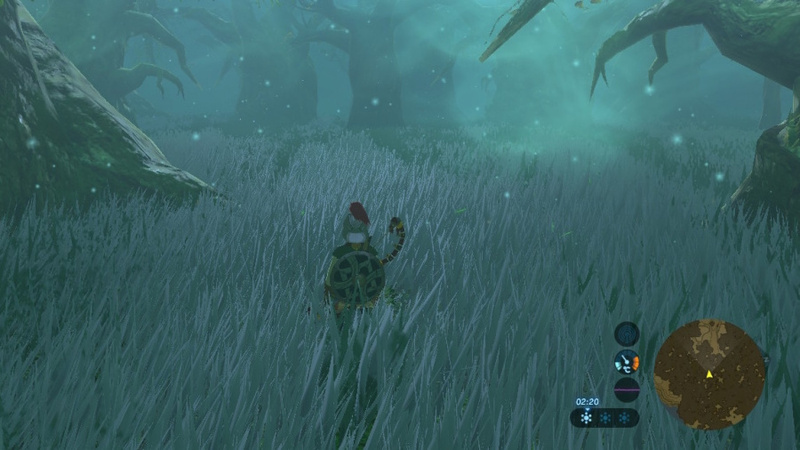 However, don't go sprinting up to it right away - before you do anything else, be sure to activate the nearby Keo Ruug Shrine (it's to the right as soon as you enter Korok Forest) as this means you can fast-travel to the Master Sword's location without having to fight your way through The Lost Woods all over again. 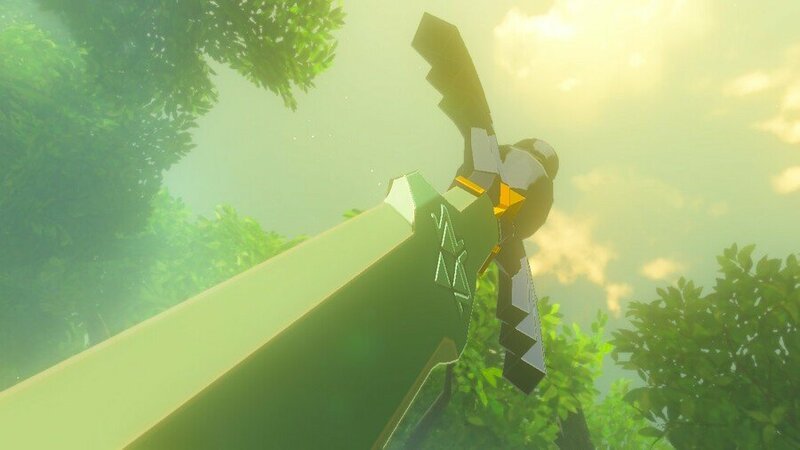 The reason you must make sure you activate the Shrine is because the Master Sword isn't about to allow any old weakling to pull it from its stone - you'll need to have at least 13 heart containers to extract it, otherwise it will simply deem you unworthy and kill you. Note that these have to be standard hearts - you can't use cooked meals to boost your heart containers temporarily. Remember, heart containers are gained by completing the challenges in Shrines and exchanging four orbs at various statues dotted around Hyrule (the most obvious of which is located in the Temple of Time near the start of the game). Let us know if this guide helped you, and don't forget to check out our other content relating to this amazing game. Why not to hide some spoiler images? Hmm, this was a toughy to click on. 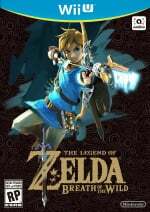 I didn't know if the Master Sword was completely an optional pickup or if it indeed make its way into Link's hands in a determined segment of the game - had I not succumbed to reading this, I could've ended up missing it entirely. This will be the only "spoiler" I read up upon! Thanks @Damo! Got one for the Hylian Shield? I got the whole Hero of Time garb by constantly changing the internal calendar on the WiiU to the next day so I could bulk scan loads of amiibos repeatedly. The amount of food I have is staggering. I gave up on caring about spoilers for this game almost as soon as I started playing it. It's so tough, I want to know everything! The more guides like this, the merrier. Spoiler FFS, thanks a bunch. @SM4SHshorts We're working on it! @Rod_Senseless How can this possibly be a spoiler when the Master Sword is shown in one of the game's trailers? Already found it, I didn't know where it was, I searched for a guide and apperantly I already found it, I just walked straight past it. @Damo I haven't watched any of the game's trailers and I generally avoid trailers precisely BECAUSE they are full of spoilers. spoiler? That's like saying Zelda is in the game. @Rod_Senseless It's on the cover of the game. I can see it in the logo. Zelda is holding it on the back of the box as well in a screen shot. I found the master sword yesterday. Thing is, I don't have enough heart containers, and you can't cheat it with temporary yellow heart containers either. Maybe this will teach me a lesson in focusing on my stamina from soul orbs. 13? I am so not worthy. 13 hearts, ouch, time to start shrine grinding. @Rod_Senseless saying the master sword is a spoiler is like saying link or zelda are spoilers. @Damo, if you convert stamina increases to hearts to get up to 13, then switch back, is it still usable? Okay, so just nine hearts to go for me. @Dakt Thanks for the tip. Good thing you guys posted this. I thought the Master Sword would've played a bigger part in the story once the four beasts were in control. This game is , well it just leaves me in a sense of AWE everytime I play it , I get distracted every time I start playing I tell myself OK I'm gonna go here and accomplish this and then before I realize it I'm over there and thinking thats awesome check that out how do I get there and do that.., This truly is an amazing title and it truly sets the bar in game design and direction in my opinion., Hats off Nintendo Hats off . Funny, I just did it this morning, but couldn't figure out the pattern after the checkpoint, so I just brute forced my way to the forest... eventually. I only read up the section on where it talk about what it does. I like the location/requirement to be part of the mystery. I know I already got a side quest from the lady near one of the horse stables asking to see the hero with the legendary sword, so that was my clue to find it and to a lesser point, the existence. What I find funny is that none of the guides like this mention you can just bring a torch and the embers will lead in the same direction making that last portion with the 2 flames much easier. Great guide, I appreciate it! I found the sword earlier today. Unfortunately, I've put all my upgrades into stamina. I only have 4 hearts right now. Along with 2 and a half rings of stamina. @SLIGEACH_EIRE was the title of the article not an obvious enough clue for your simple mind? @Dakt This was so much easier, thank you!! Please explain how the mere presence of the Master Sword is a spoiler since it has appeared in every single trailer and collectors editions come with a Master Sword statue. @Damo Forget the trailer... it's in the logo on the front of the box! "there's a good chance that if you're not using a guide you may not even realise they exist"
I highly doubt that since every NPC and their mother tell you about the "Sword that seals away the darkness" and that they won't recognize you as the legendary hero without that sword. But I wonder how to get to the sword actually; a few days ago - without knowing where the Master Sword is located - I went to the Lost woods for the first time (it was the penultimate area I uncovered on the map) and after a while, the whole screen would just turn white and return me to the entrance. Then, I started following the torches but as the article mentions, at some point there are no torches anymore. Maybe I'll try again later. But good to know that I need 13 hearts (only have 10 right now)! Damn, I shouldn't have spent so many orbs on Stamina... maybe I'll go and change that. 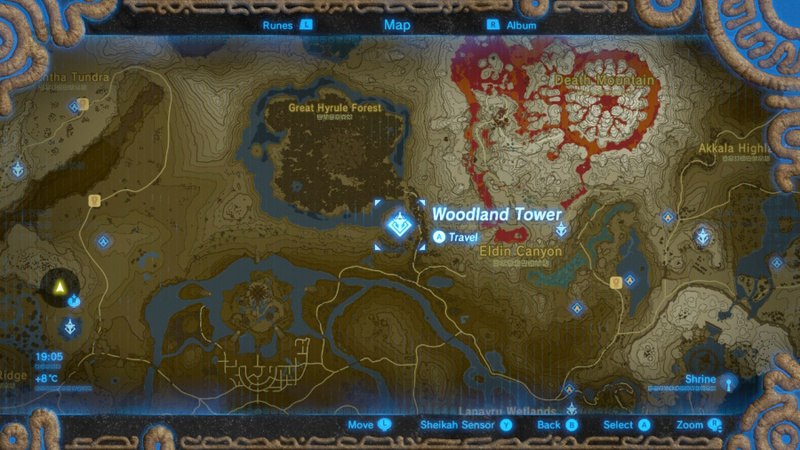 Finally stumbled upon this in the game now (didn't know it would be where I found it or the heart requirement, hooray for a spoiler-free play through) but I have to say your solution to finding your way through the Lost Woods is overly complicated. You simply have to hold a lit torch (you find one near the start) and walk in the direction the wind is blowing the embers. The wind changes direction and you just have to follow, and it's really simple. now that i finally went to get the master sword i wouldn't have even noticed it sitting there.